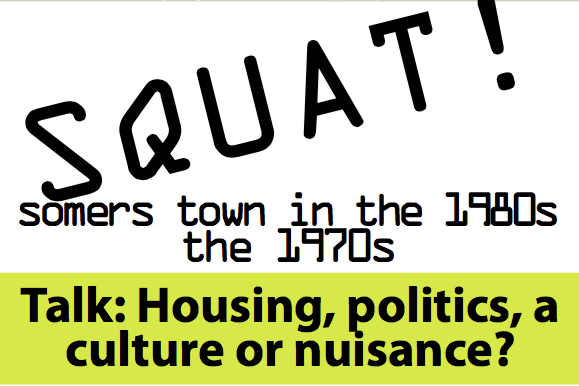 This week’s talk on housing and squatting in Somers Town was thought-provoking – thanks to Esther Leslie’s meticulous research we had rare archival material, Pathe films of post-war squatting, all of which gave context to what happened here. There were first-hand accounts by those who squatted here – in fact, two ex-squatters were reunited after 30 years. And John Carroll’s photos of the evictions in the 1980s gave the council’s and local perspectives, too. A full article will follow – as soon as I have time!